Caps and plugs, usually liquid- or gas-tight, cover the end of a pipe. 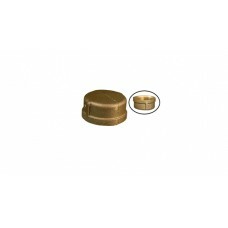 A cap attaches to the male thread of a pipe. 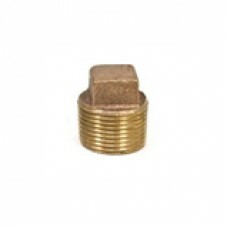 It may have a solvent-weld socket end or a female-threaded end. In threaded plumbing systems, the cap has female threads. Industrial caps may be round, square, rectangular, U- or I-shaped, and may have a handgrip. If a solvent-weld cap is used to provide for a future connection point, several inches of pipe must be left before the cap; when the cap is cut off for the future connection, enough pipe must remain to allow a new fitting to be glued onto it. A plug fits inside the fitting to which it is mated. In a threaded plumbing system, plugs have male threads. There are a number of plug types: mechanical, pneumatic-disk, single-size pneumatic rubber, multi-size pneumatic and flow-through, and high-pressure. 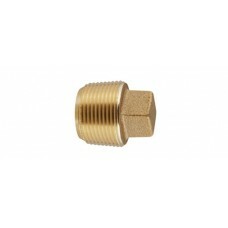 OverviewIdeal for use with copper, brass, iron pipe on oil, natural gas, water and air linesTapered ..
FeaturesAll brass that comes in contact with potable water conforms to AWWA Standard C800 (UNS NO C8..